Red Roses signify-Love, Beauty, Courage and Respect, Romantic Love, Congratulations, "I Love You", "Job Well Done", Sincere Love, Respect, Courage & Passion. Pink rose is a symbol of- Admiration, Sympathy, Gentleness, Grace, Gladness, Joy, Sweetness. Send Flowers Bangalore ,Send Gifts Bangalore: Lowest Prices: Bangalore Florist, send flowers to Kochi, Mumbai, Delhi, Gwalior, Ludhiana, Jaipur, Jodhpur, Chennai, Pune and 250 cities in India. 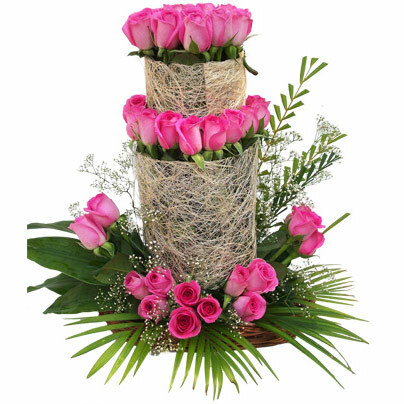 Send flowers to India send flowers to India florist Mumbai online florist Mumbai. Flowers, Send Flowers, Gifts, Send Gifts, Flowers Delivery, Gifts Delivery, Flower, Gift, Send Flower, Send Gift, Cakes, Cake, Chocolate, Watches, Leather Bags, Perfumes, Cosmetics, Dry Fruits, Bangalore, Florist, Send Flowers to Bangalore, Send Gifts to Bangalore, Flowers to Bangalore, Gifts Delivery in Bangalore, Flowers Delivery in Bangalore, Gifts to Bangalore, Bouquet, Florists, shopping, Bouquets, Flower Bouquet, Toys, Sweets, Mithai, Diwali, Durga Puja, Puja, Valentine, Valentine's Day, Valentines Day, Valentine Gifts, Valentines Gifts, Valentine's Gifts, New Year, Christmas, Mother's Day Gifts.